Jenny Flinn is a Lecturer within the Department of Business Management where she specialises in the area of Events Management. She is programme leader for the BA (Hons) International Events Management, pathway leader for the BA (Hons) Business with Events Management and also teaches on the MSc International Events Management. Her research interests lie in the area of festivals and events, particularly in relation to identity construction. Jenny is currently undertaking a PhD which examines identity construction within the emerging sport of Mixed Martial Arts. In addition to her academic research Jenny has also been involved in a number of consultancy projects relating to cultural policy, and more specifically the role of arts in community development. She has also helped to design and deliver a number of CPD courses relating to events management. 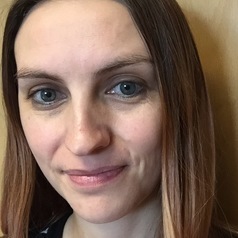 Jenny is a Secretary of the Association for Events Management Education and is actively engaged in helping to bridge the gap between events education and industry.